Over the past couple months we’ve worked with every sixth grader at James Lick Middle School through our annual poetry collaboration. 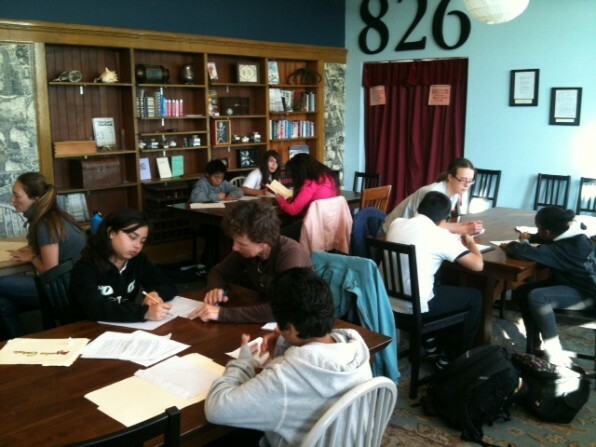 The students have written draft after draft of odes, list poems, sonnets, and haikus all with the support of our tutors in James Lick’s Writers’ Room. We’ve learned firsthand that sixth graders make the best poets; their pieces are full of vivid imagery and figurative language and they cover deeply personal subjects. Keep an eye out in January for the culmination of all their hard work: a chapbook anthology featuring each sixth grader’s favorite poem.